Ray achieved another first when on April 23, 1872 she was admitted to the bar in the District of Columbia which had recently removed the word “male” from its requirements. Ray opened her own law office in Washington, D.C. but found it difficult to make a living as an attorney due to racial and gender bias. 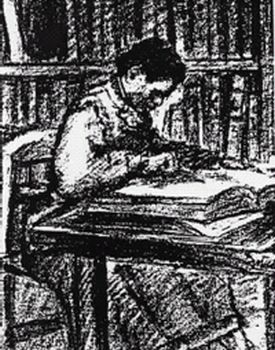 She returned to New York in 1879 and became a Brooklyn school teacher. By this point, Ray had become an advocate for women’s suffrage. She was a delegate to the 1876 conference of the National Woman’s Suffrage Association. In 1895 Ray joined the newly formed National Association of Colored Women. In 1897 she moved to a suburban community on Long Island, Woodside, New York. Little is known about Ray’s personal life after she returned to New York. In 1886 at the age of 36, she married a man named Fraim but it is not clear how long the marriage lasted. There were no children. Charlotte E. Ray passed away in Woodside, New York on January 4, 1911. J. Clay Smith, ed., Rebels in Law: Voices in History of Black Women Lawyers (Ann Arbor: University of Michigan Press, 1998); Tonya Osborne, “Charlotte E. Ray: A Black Woman Lawyer,” Stanford Law School: Women in the Legal Profession, 2001, Accessed Nov 8, 2010.
the Legal Profession, 2001, Accessed Nov 8, 2010.